Former Gizmodian Brian Lam has a site called The Wirecutter, whose singular goal is to decide which gadgets to buy or not to buy. Today, he looks at the best Wi-Fi hotspot money can buy. Having fast internet almost anywhere is a wonderful thing. 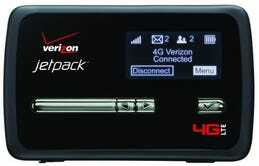 Because it's the best 4G/3G modem with Wi-Fi on the best network, I like the Verizon Jetpack 4620L. It's the successor to last year's favorite, and it's fixed some quirks while keeping its $50 price. 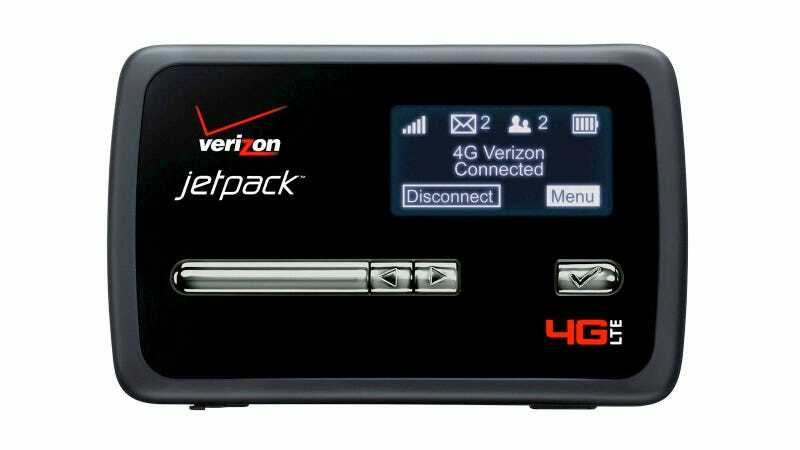 The Verizon Jetpack 4620L can provide internet to up to 10 Wi-Fi enabled gadgets at once, and in 4G areas, can download between 5-12Mbps and upload at 2-5Mbps—faster than some home internet connections. If you're out of a 4G zone, which exists in most major cities in the US and then some, it falls back to Verizon's extensive 3G network. Unlike the hotspot it replaces, last year's best, it can be charged off a computer's USB port while it continues to work as a Wi-Fi hotspot. The device costs $50, but service plans are $50 for 5GB a month, or $80 for 10GB a month. Battery life without the optional extended battery pack, with constant use, is about 3-4 hours, according to testers. Double that with the bigger pack. People love it. Sherri Smith from Laptop Magazine gave it an Editor's Choice, saying "if you're on Verizon, this is the mobile hotspot to get." GDGT recommends it, saying, "Mobile hotspots are still a pricey proposition for most people, but if you need shareable broadband on the go, the latest Jetpack is the best way to do it." Chris Ziegler, one of the most authoritative writers from The Verge says, "This is the best dedicated mobile hotspot I've used." Alex Colon, Mobile Analyst for PC Magazine, says, "…if you're looking for the best hotspot you can get on Verizon right now, the 4620L is your best bet, and our latest Editors' Choice." He also gives it an Editor's Choice award. It's not perfect, though–-AT&T offers a hotspot with an SD card slot so you can store files on it for sharing with other users on the network. That seems silly to me, though. I don't need it and I don't think you do, either, because you can just file share from machine to machine. How about the competition? Samsung has a similar device on Verizon's network, but in the past–-and I know this is not the best data-–these devices have been buggy. AT&T and Sprint's next generation networks are not as widely available, and are not as fast, despite having similar pricing schemes. This is a pretty one sided decision. If you want to get online away from your desk, the Verizon Jetpack 4620L is the best way to do it. What To Look Forward To: Nothing much, for the next year. This is a safe buy. Last Year's Model: Yeah, last year's model, our 2011 favorite, the 4510l, is similar but won't charge by USB from a computer while unless you shut off the connection. You're better off getting this one.